Please read our worm shipping policies before you order any worms. We post these guidelines because these are living creatures and we want you to fully understand what is involved before you make a decision. This is a standard in the worm farming industry and most of us take a lot of pride in our worms. Worm orders must be received and paid for by Friday at 5:00PM CDT in order to be shipped the following Monday-Tuesday or it will go on the following shipping week. We use PayPal to process all electronic transactions. It's fast, easy, and secure. You don't need a PayPal account to order products. After you proceed to the checkout, you will have an option to pay with your credit card. We guarantee that your worms will be squirming the moment they arrive or we will ship new worms to you. We not only care about our customers, we also care about the worms. That means we may have to delay your order if weather conditions are too hot or cold or if any other foreseeable event might cause the worms too much stress. In order for us to honor our guarantee, someone must be present, at the time of delivery, to sign for and/or accept shipment. If someone will not be home to accept shipment at the time of delivery, then let us know when you place your order and we will write on the outside of the box "Please Hold At Post Office For Customer Pickup". Do Not let the mail delivery person leave your package at the front door. Tracking will indicate that the package was left at the front door instead of "with the customer" due to no one being present at the time the doorbell was rang. If left in the heat/sun or freezing cold even for a few minutes can stress the worm and even kill them. We will then guarantee the worms for 24 hours giving you plenty of time to pick up your worms. Failure to accept the worms on the first delivery attempt, or pick them up at the post office within the 24 hour window will void the "Arrive Alive" guarantee. That is why we need you to fully read our Worm Shipping policies. This is the standard in the industry. We normally ship via USPS 2-3 Day Priority Shipping. Worm orders received and paid for by Friday at 5:00 CDT will be shipped the following Monday-Tuesday. Occasionally, when orders are extremely heavy, we may ship on both Tuesday and Wednesday, allowing for an extra day to harvest. You are responsible for the care and condition of the worms once received. 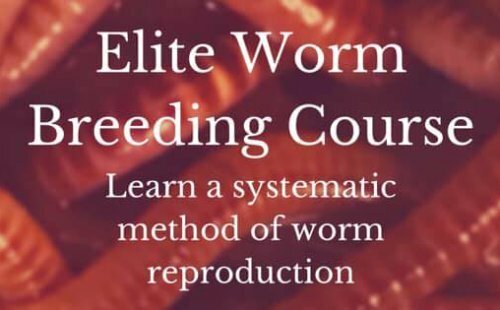 We have every bit of faith in you to take great care of the worms providing you have read the free worm farming guide on this site. However, some will not follow the guide and try to put the blame on us. Therefore, we must make a disclaimer that protects us so that we may continue to offer our services to customers in the future. Your satisfaction is paramount to us. If there's any problems with any order please don't hesitate to contact us. We will consider that the worms have been delivered alive unless we are notified within 3 hours of the time that the carrier scans or enters them in as delivered. Please do not dispose of the worms or the original package until you contact us. Do not refuse the delivery. Due to dishonest individuals we may ask that you send us a video of proof that your worms are listless/dead. This cuts down on those wanting more worms from us for free. With other products, the customer can simply send the defective product back, but not with a living organism as the worms would not make it through another shipping. You will be receiving "bed-Run worms when ordering composting worms. A "bed-Run" consists of harvested babies, juveniles, adults and other types of species of worms. It is possible to have a small amount of "other" species of worms in your composting worm order. While you will most certainly get the majority of specie you ordered it has been known, for one of those species, to out populate the original type of worm you received from us based on the environment you have provided your worms. Now this is just a disclaimer that we need to have for your knowledge and awareness. We have never been notified that this has ever happened from any of our customers. But it does happen in this industry and there have been complaints by other customers from other worm vendors. Jumpers are not like composting worms and should go into the ground ASAP. Although we do have excellent packing and 99% customer satisfaction they should be put into their environment just like any other worm shipped to you. Jumper orders may be delayed due to availability or weather conditions for harvesting. 1. In General, Purchase by 5pm CDT Friday in order to receive worms by following week. 2. Be there to receive worms in your hand and not left at the door or tell us to hold at post office for you to pick up. Thank you for reading the Worm Shipping Policies.